Primary Chalkboard is hosting this party. Link up here! I’m so sad that I totally forgot to take pictures on Monday. I’ve often said that this is my favorite day of the week because the day just flies by! I guess this is true of Monday cause I spaced it with all the excitement! I found a great video on YouTube of the Lorax. My students were engaged the whole 17 minutes! It also gave me time to pass out all the construction paper each student needed to make the Lorax Mustache headband (hence the name of our spirit day)! 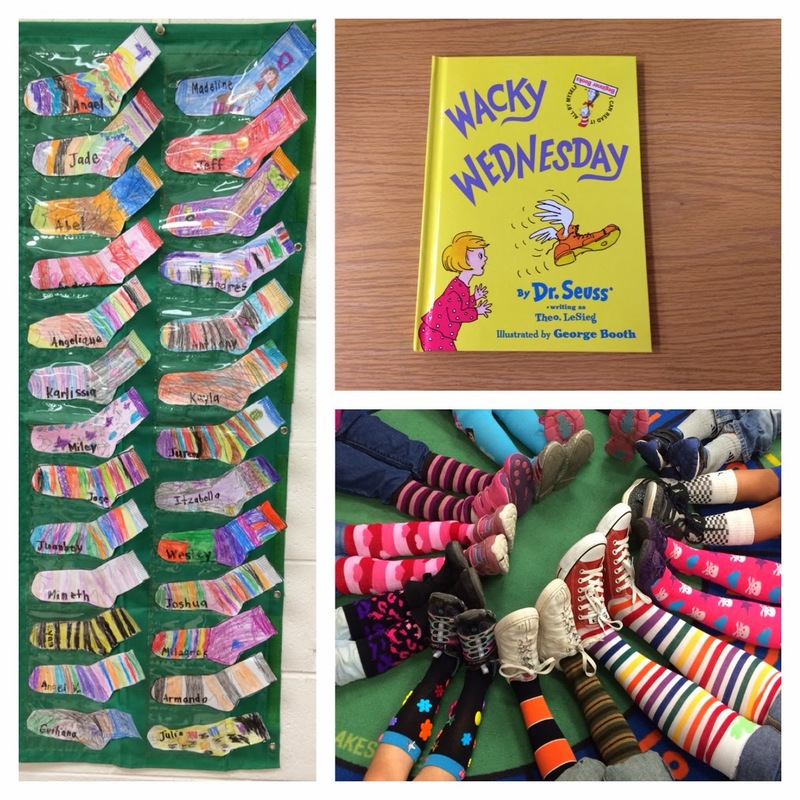 Students wore their Silliest Socks! We used a template I found on the internet so that students could draw their silly socks. I was so excited for this day because of the cutest hats I found from Kreative in Kinder. 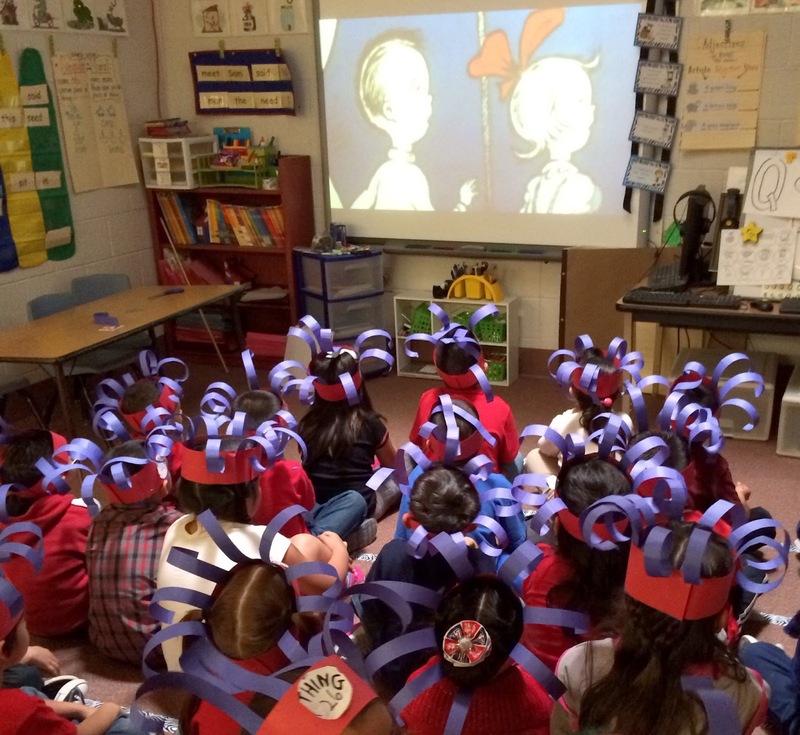 After we made our hats we sat down and watch a YouTube version of Cat in the Hat while wearing the hats. 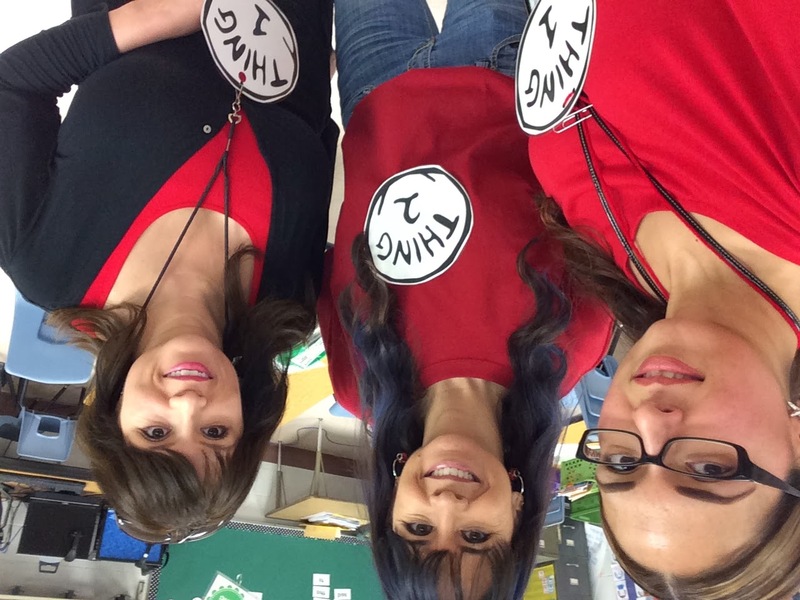 Here my kinder team and I are posing before the excited kids come in. Our Thing 1 & Thing 2 circles were just printed from the internet and laminated! 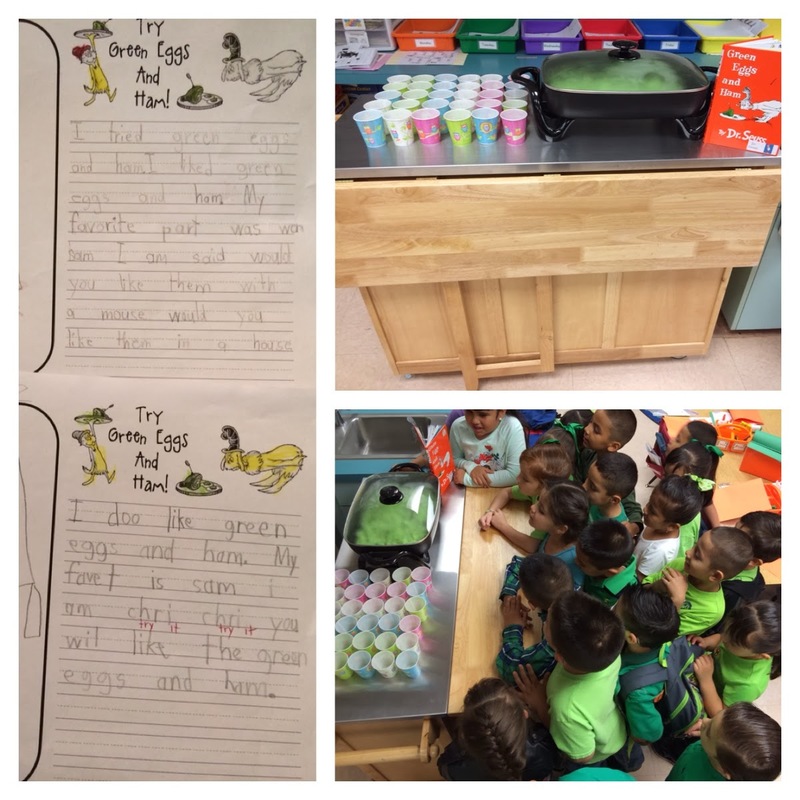 My kinder kids knew we were going to be tasting green eggs in advance and boy were they excited! I could hear them at my classroom door early before the bell rang. When they all walked in I had the egg set up on a skillet. We read Green Eggs and Ham then wrote about our experience and our favorite part. 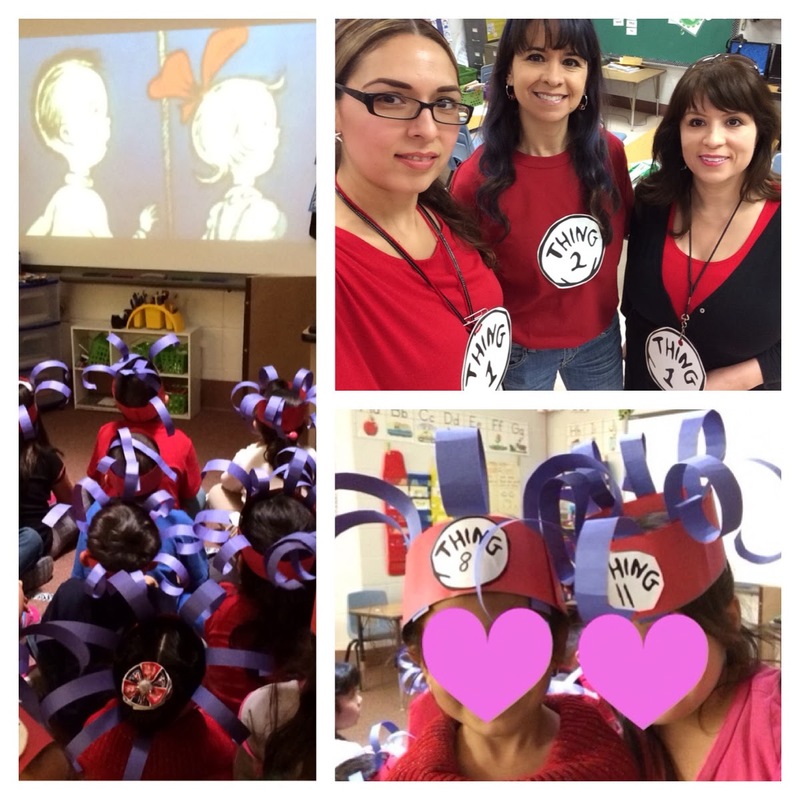 That was our Dr. Seuss/Read Across America week. Thanks so much for linking up to The Primary Chalkboard! It looks like y'all had a ton of fun this week! Love the socks and how engaged the kiddos look in that last pic! So cute!